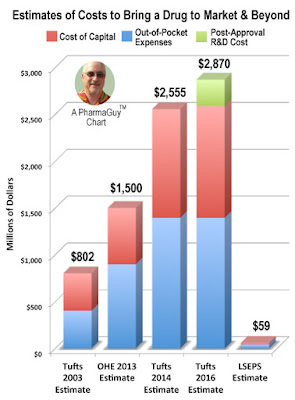 The pharmaceutical industry is currently struggling to defend the high cost of drugs. It is using advertising and lobbying to reach lawmakers and payers (read, for example, "#Pharma Ramps Up Ads & Lobbying to Fend Off Rx Pricing Regulation"). 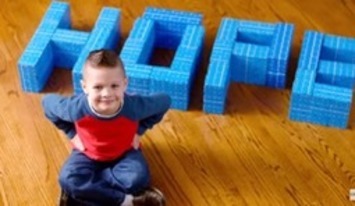 PhRMA's multi-million dollar "From Hope to Cures" campaign, for example, pulls the heart strings by featuring a 5-year-old boy with Type 1 diabetes. This is part of PhRMA's pledge to spend several million dollars this year, and 10% more than in 2015, on digital, radio and print ads that emphasize the industry’s role in developing new drugs and advancing medical science. It also plans to spend more money lobbying and donated to political campaigns. In these campaigns, the strategy is less focused on defending drug costs to pay for the cost of developing new drugs and more focused on the benefit of new drugs in fighting intransigent diseases such as diabetes, rare cancers, and Alzheimer's Disease. Nevertheless, many pharma CEOs still speak of "return on capital" to defend high drug prices (read, for example, "Merck CEO Repeats Same Old Defense for Raising Prices of #Pharma Drugs" and "Pfizer, Channeling Shkreli, Starts New Year by Increasing Prices of Nearly 100 Drugs"). So capital expenditures (R&D costs) are still a big deal for pharma executives. I have been reporting on various estimates of the costs to bring new drugs to market for several years now. Most of these estimates come from the Tufts Center for the Study of Drug Development (read, for example, "Cost to Bring a New Drug to Market Is $2.6 Billion According to Tufts - 3X More Than in 2003!"). Tufts has a new estimate of these costs that includes a new cost item. The new cost item is an estimate of post-approval R&D costs. I've included this item in a new version of my chart, which shows various cost estimates over the years ("LSEP" refers to the 2014 estimate by the London School of Economics). According to published research by Tufts (here), post-approval R&D costs per drug adds about $282 million to total. "The research and development costs of 106 randomly selected new drugs were obtained from a survey of 10 pharmaceutical firms. These data were used to estimate the average pre-tax cost of new drug and biologics development. The costs of compounds abandoned during testing were linked to the costs of compounds that obtained marketing approval. The estimated average out-of-pocket cost per approved new compound is $1395 million (2013 dollars). Capitalizing out-of-pocket costs to the point of marketing approval at a real discount rate of 10.5% yields a total pre-approval cost estimate of $2588 million (2013 dollars). When compared to the results of the previous study in this series, total capitalized costs were shown to have increased at an annual rate of 8.5% above general price inflation. Adding an estimate of post-approval R&D costs increases the cost estimate to $2870 million (2013 dollars)." Not every drug is subject to post-approval R&D (or post-marketing surveillance), which may be required by the FDA for safety reasons or when accelerated approval is involved (see here). Is this a valid cost factor? I've often heard it said that much of this "R&D" is really marketing disguised as research.